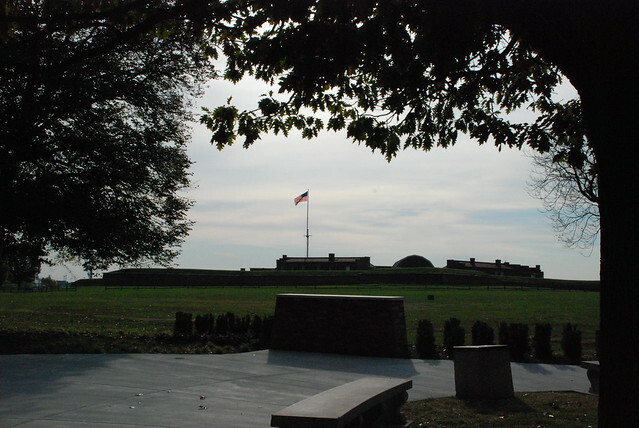 Above, Fort McHenry around 9 a.m. in the morning. 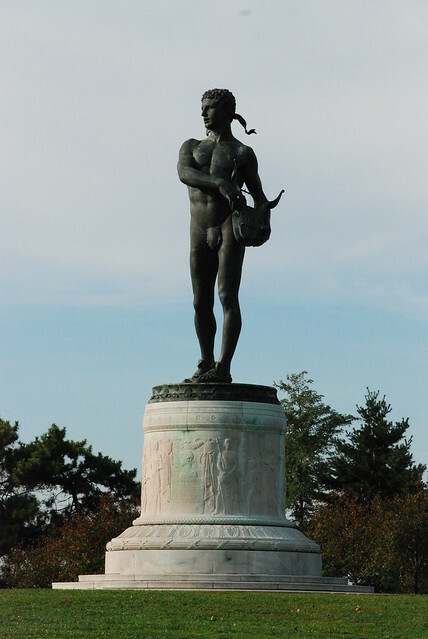 This is a statue of Orpheus and it was erected to commemorate the 100th anniversary of the writing of the Star Spangled Banner. 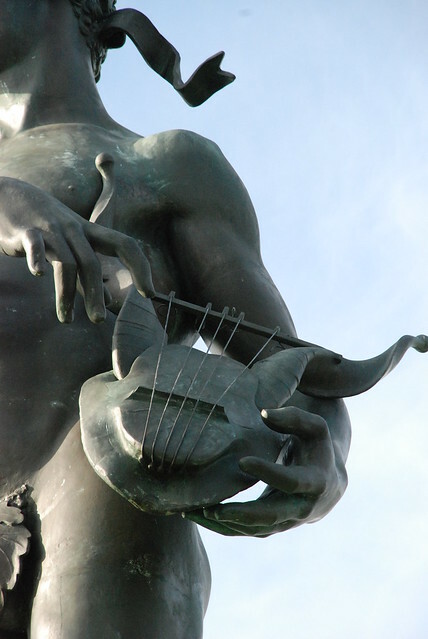 A little boy walking to the visitor's center with his family caught sight of Orpheus and started to scream "Its a naked man!Completely naked!" And he burst out laughing. 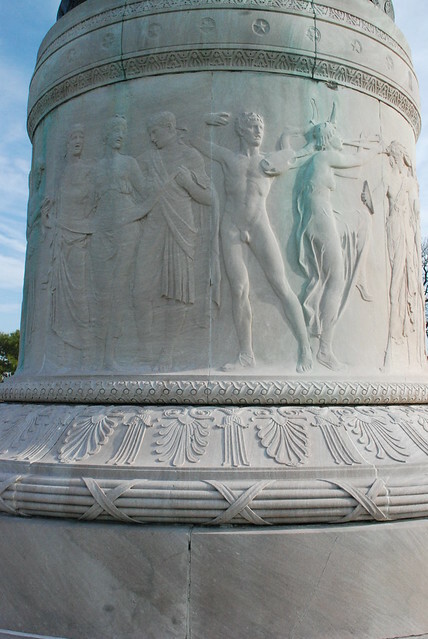 Orpheus isn't exactly naked. He does have a leaf covering his private parts...barely. 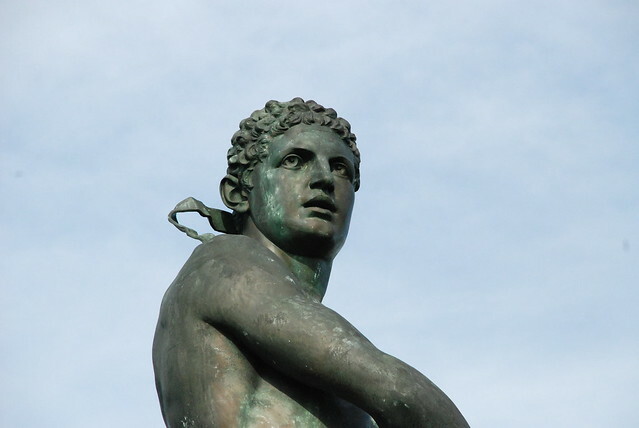 Interestingly, according to park lit, many people think this is a statue of Francis Scott Keys, the author of our National Anthem. Ha! Would Keys have objected? 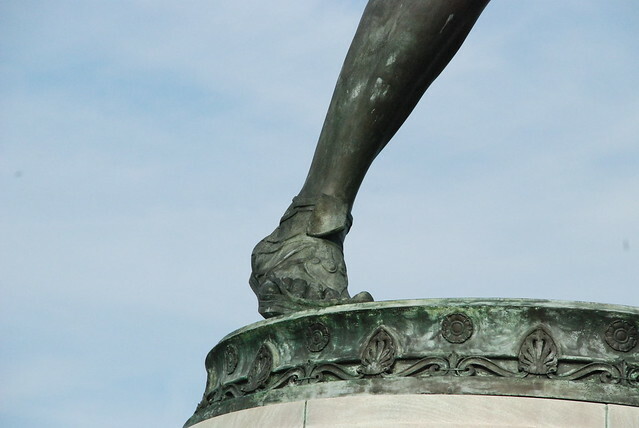 Below, detail of the stone foundation of the statue, its face, foot and lyre.